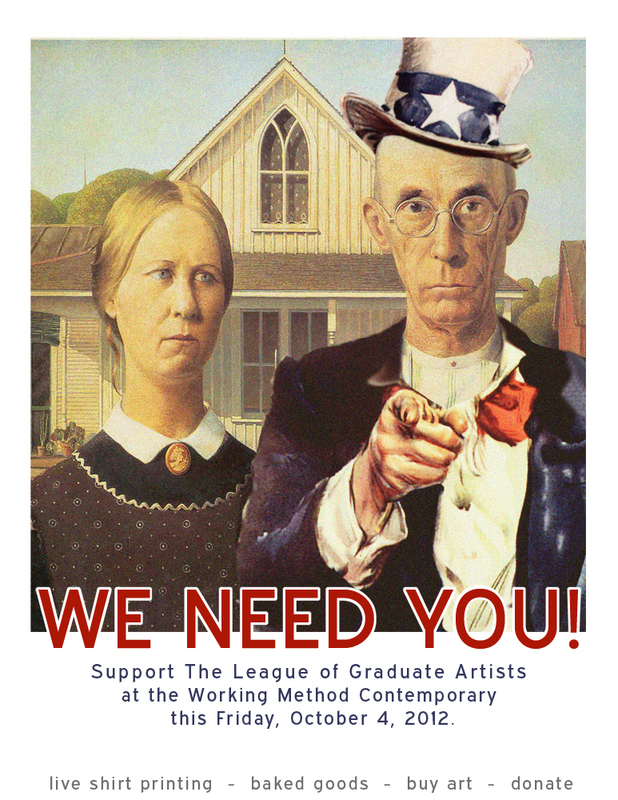 Department of Art | FSU’s Working Method Contemporary Needs You! Home » News » FSU’s Working Method Contemporary Needs You! FSU’s Working Method Contemporary Needs You! The Working Method Contemporary gallery presents ”We Need You!” for October First Friday, October 4, 2012. The gallery will be open to the public and will include on-demand, live shirt printing (or printing on whatever you’d like at a reduced price,) a bake sale, and art for purchase. All proceeds fund the League of Graduate Artists’ application to Fountain Art Fair, and potential travel expenses.